It's the end of the month and that means it is time for me to show you the pages I scrapped this month. I didn't do so hot this month. 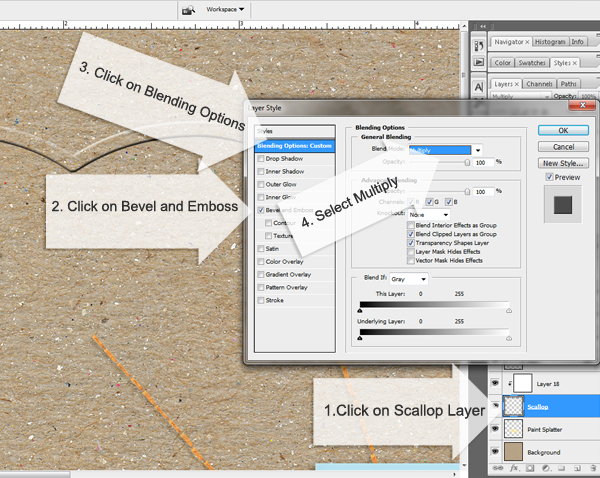 I managed to scrap 4 pages. One of them was a double pager....so can we say I scrapped 5 pages? Here are the pages I scrapped this past month. This first one doesn't even have photos but it tells a story, a story about my 5-year-old daughter. Too cute. 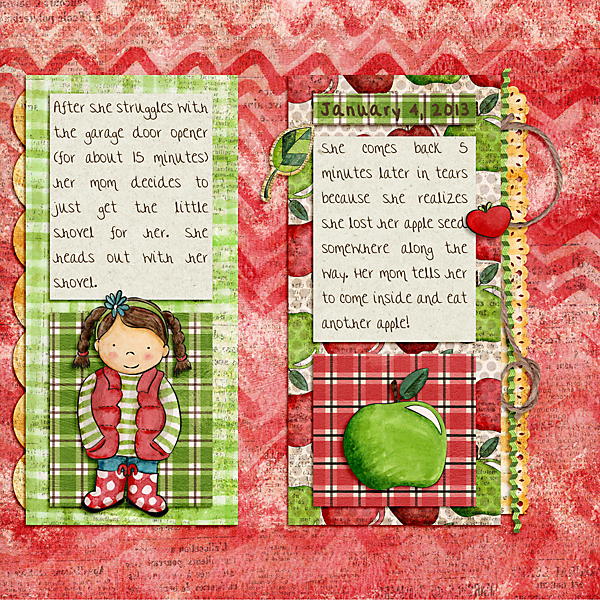 Using mle Card's Apple Dapple Bundle and my Celebrate Double Templates. The next three pages are from China. This is the album I'm really focusing on this year. 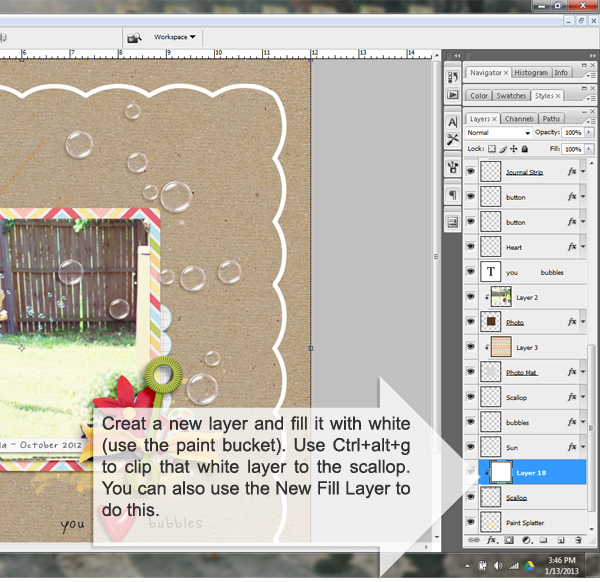 Using Big Sister by mle Card Designs and my Recyclables 13. 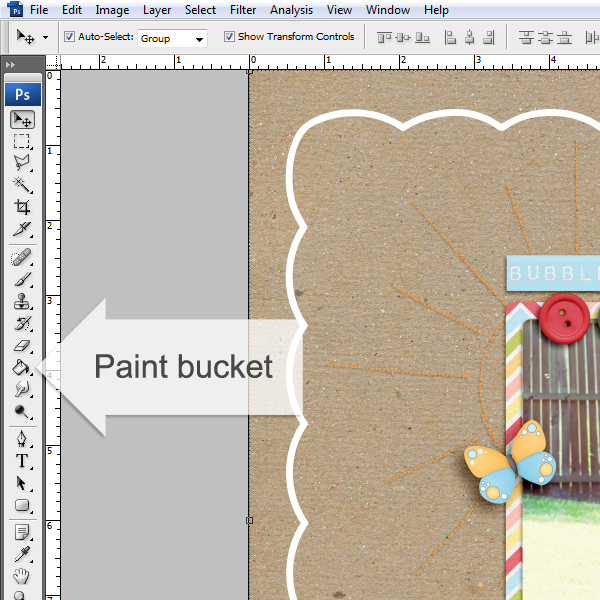 Using mle Card's Big Sister and my Artsy Journal Templates. That's all I've scrapped so far this year. I did scrap a few pages back in November that I haven't shown you yet. 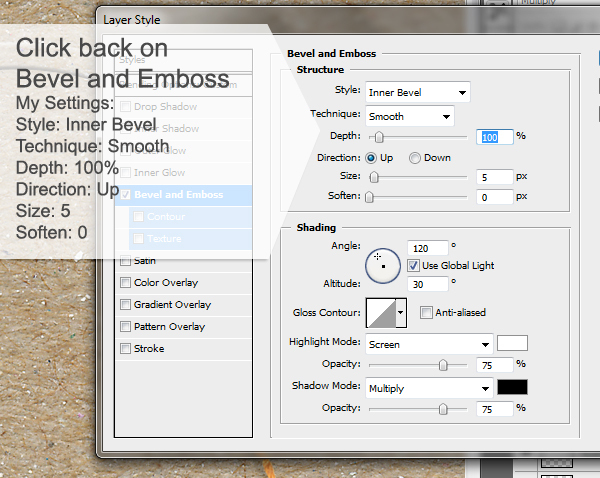 The templates hadn't been released yet. 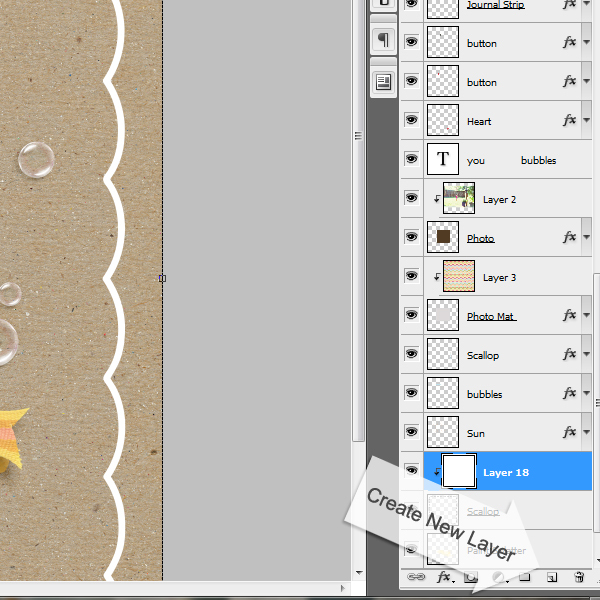 I work quite a bit ahead on my designing so sometimes I scrap a page and then I can't show it to you for a while. I would say that's the bad part about working ahead! Here goes for the pages I scrapped back in November. I was working really hard at finishing up my 2011 album so these photos were all taken towards the end of 2011. 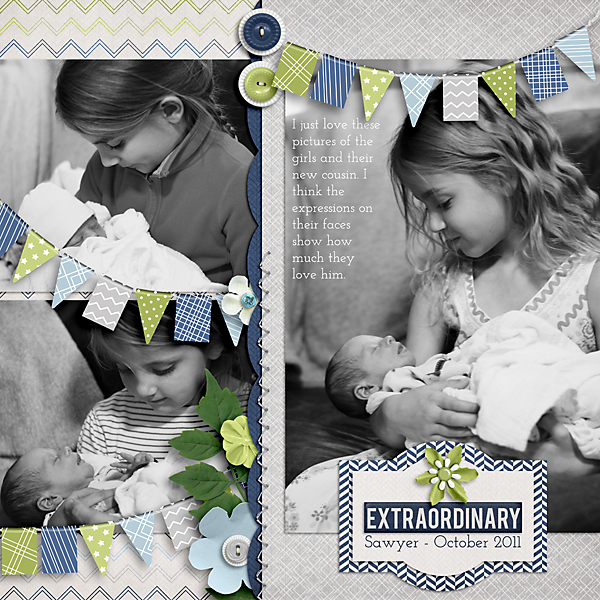 I used Boy Extraordinary Bundle by Bella Gypsy and my Scrap Orchard January Challenge Template. Christmas Cheer by Tracie Stroud Designs and the Template was given away to January MIS participants (available soon in my store). 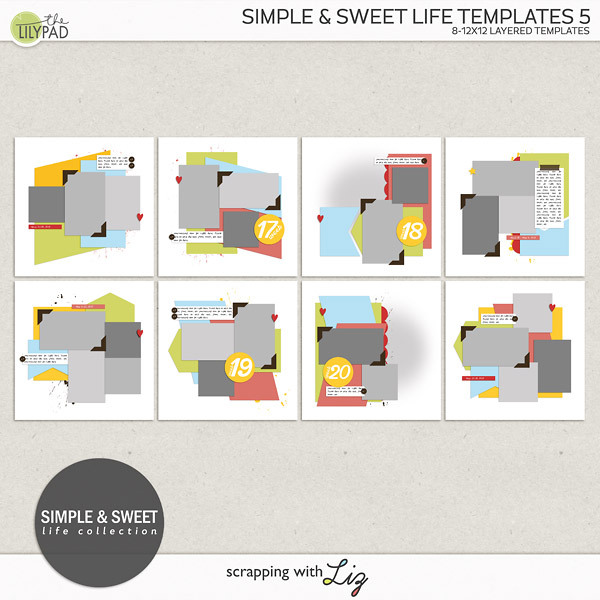 Krafty Papers Bundle by Happy Scrap Girl, Sugarberry Kit by Sugary Fancy Designs, Pebblelicious Colors Alpha by SuzyQ Scraps and my Keepin' It Real Double Templates. 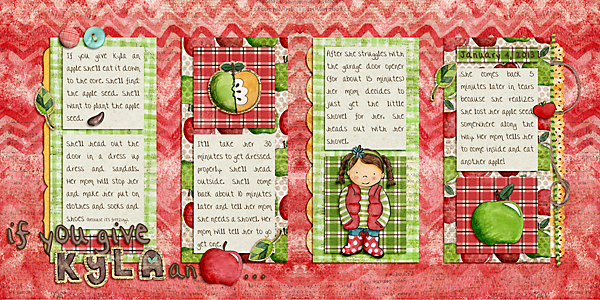 Hip Holiday by Bella Gypsy Designs and my January Blog Template over at Scrap Orchard. 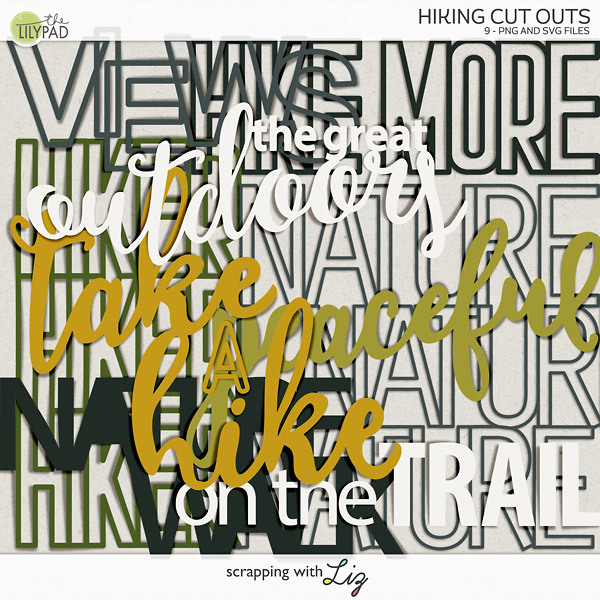 How are you keeping up with your scrapping in 2013? After my huge scrapping success in November (over 31 pages) I only managed to scrap six pages in December. Maybe I needed a break or maybe it had something to do with Christmas, family visiting, or taking care of sick kiddos. I don't know, but either way I did manage to scrap a little bit. Here's what I managed to get done. 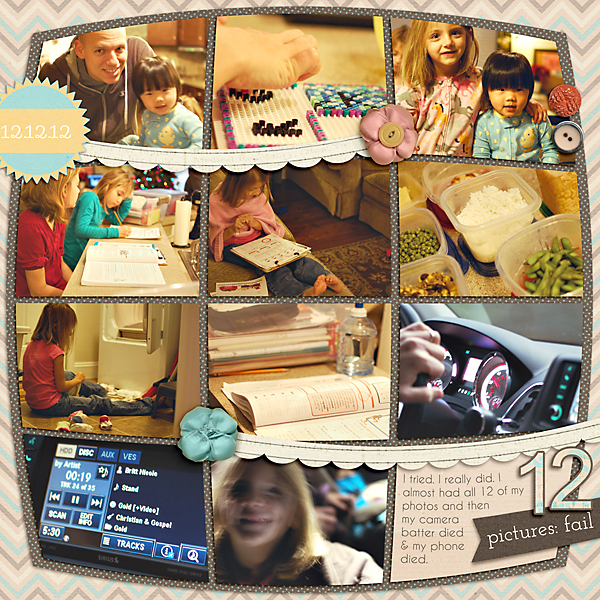 I made this page to scrap the 12 photos I took on 12.12.12. 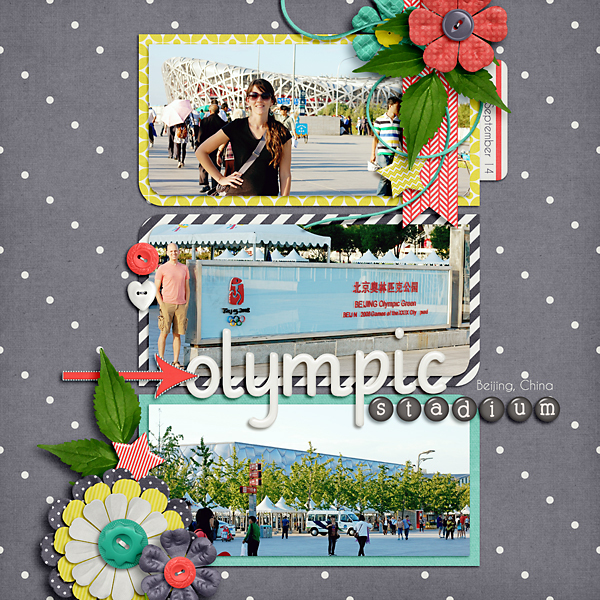 Never mind the fact that I only managed to take 11 photos, I still scrapped a page about it! 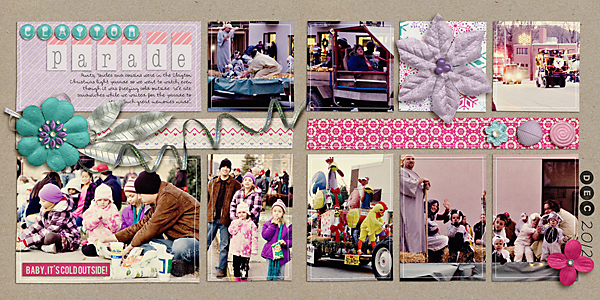 I made this with this month's Template Revisited Challenge Template. Our first Christmas with Lydia was such a blessing! 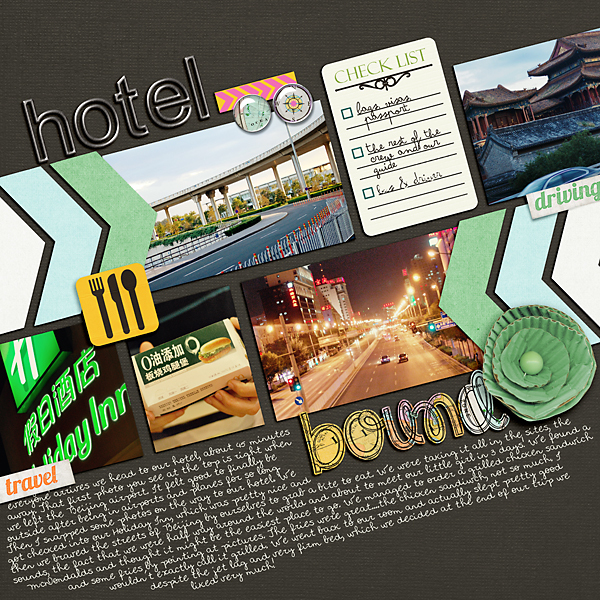 Since I finished my 2011 album I've been trying to focus on Lydia's China Album. 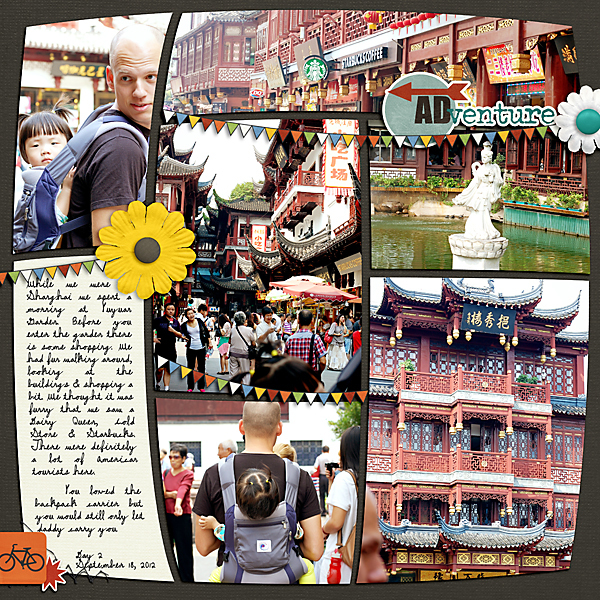 Here are a few pages I scrapped of our days in China. I still have a lot to go! 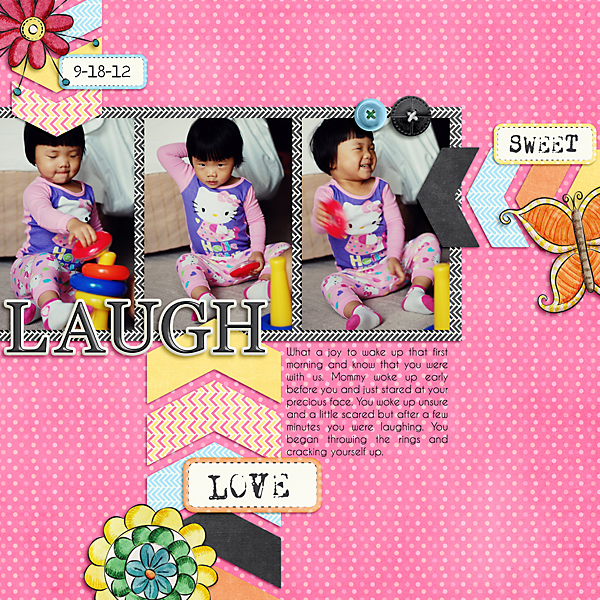 I'll still be sharing my monthly digital scrapbook pages with you at the beginning of each month this year. 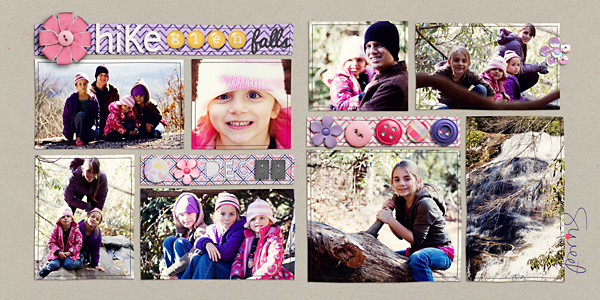 My goals for 2013 are to finish Lydia's album and to finish up 2012 while scrapping 2013! And to do my weekly Instagram page (you'll hear more about that tomorrow). Hmmm...I might need to get more organized about how I'm going to accomplish all of this. I'll let you know what I decide to do.